Since posting the first part of this project, two good things have happened: firstly, a friend with a much better camera than I had was willing to take some snaps for me, all of which came out considerably clearer than my Ricoh 4200 was capable of. Secondly, I got a new camera. So future projects will feature better pictures, as well. In the first part, I showed two views of the carriage at an interim stage. This photo shows the completed carriage in travelling order. One of the things that has always attracted me to this subject is the odd image the front legs make when they're folded upwards for transit. It was here that I first started having some problems with the instructions, in the form of omissions. Note the white metal arms that hold the folded sections of the legs in place. These hook on to small hooks formed from brass wire, attached to the folded sections. The instructions tell you to make these hooks and where to place them (the wire is provided in the kit). However, there is no mention of the hooks at all if you are building the gun in firing position. If you don't at least look over the instructions specific to travel position, you might not know to put the hooks there. To make matters worse, the ends of the metal arms that hook onto the brass don't actually have hooks; they're solid. I tried drilling the ends out to be more hook-like, but they became too mangled to be usable. I instead snipped them off and replaced them with hooks made from small-gauge lead wire. This picture shows the gun assembly itself, on the platform but minus the chair and the adjusting wheels. There were no surprises here, thankfully. The barrel is nice and straight, and wasn't too hard to drill out. When I build another, I will probably replace it with an aftermarket part (lathe-turned aluminum) simply because the drilling will be more precise and it will be less vulnerable to heat. Getting the breech part against the back-end of the gun was a little work, as cleaning the casting block off of the breech left it a little uneven. 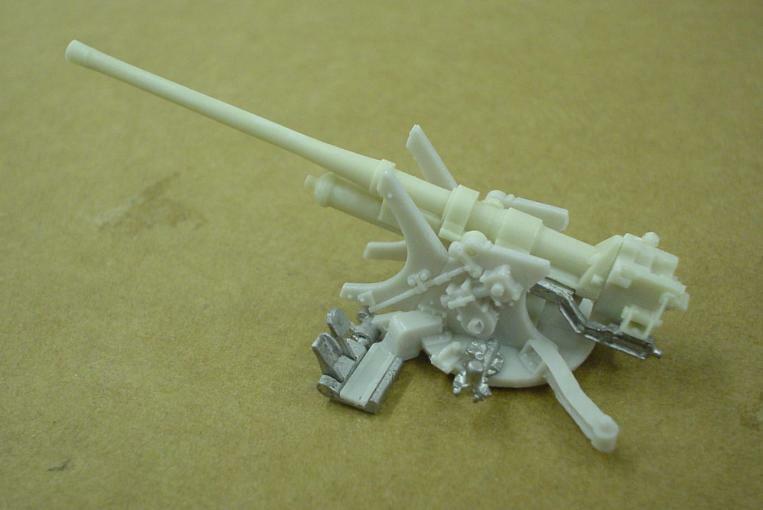 The hardest part to fit was the white metal piece that goes along the side of the gun itself, up to the breech. It was hard to tell what angle it should be at, so it was hard to get lined up. The rest of the parts shown were no trouble at all. The next part to feature for now was also the single hardest to get right, with the possible exception of aligning the folded front carriage legs. This is the sight assembly. The picture is small because it is the only one we were able to get of the assembly that has the open sight (the brass wire part) in focus. The assembly itself is fairly straightforward. The two problems that took the better part of an evening, are the open sight and the alignment from the mounting brace. And the fact that the mounting brace is never actually mentioned or referred to in the instructions. The brace is part number 22. 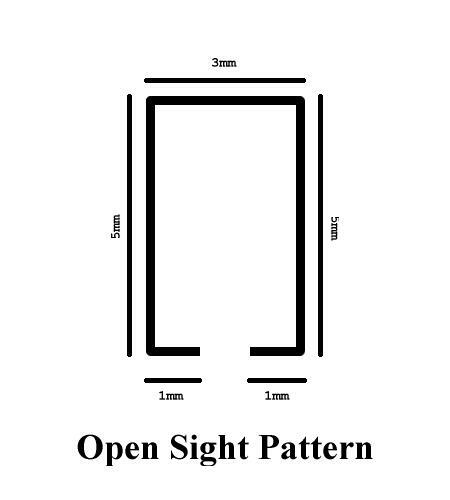 It's shown in the parts layout photo, but is never called out anywhere else. However, when you're assembling the gun sub-assembly, it is pretty clear where it goes. And the half-circle opening at the bottom is perfectly-spaced to fit across the side braces on either side of the gun itself. 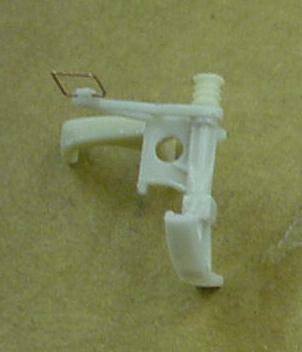 However, at the other end of part 22, the nub onto which the sights are mounted, the angle is completely wrong. The sight assembly should be perfectly horizontal with regards to the gun itself. But the nub is at an angle of about -40°, which would cause the whole sight system to be at that angle. To solve this, I used a simple sanding stick to level off the top of the nub so that the sights were level. The reason this was such a problem was that it was so difficult to test-fit this, to be certain that the angle was correct. I didn't want to permanently attach part 22 to the gun, since it would make painting more difficult. The last element for now is the open sight itself. This was especially tricky to do, since all they tell you to do is to make a rectangle of wire 5mm by 3mm. This will not fit on the sights. Do not do it this way. The open sight has to fit to part number 30. There is a very small nub where the two join, about 1mm wide. As you may guess, this 1mm is actually part of the rectangle. I drew up this pattern (using the GIMP) based on what I did. Rather than making the rectangle, I made what you might call a highly-stylized "C". It is 5mm on two sides, 3mm across the top, and has two 1mm stems pointing inwards on the bottom. The stems sit snugly on either side of the nub, and the sight assembly is complete. Since taking the pix and doing the work detailed above, I have finished the basic construction of the detail parts (ammo shelf, cleaning up the ammo boxes, cleaning up the gunshield, etc.). I've painted all of them their basic British Green color, and am about to do the rubber effect on the tires. I'll post more pictures and details when I've gotten a little further.